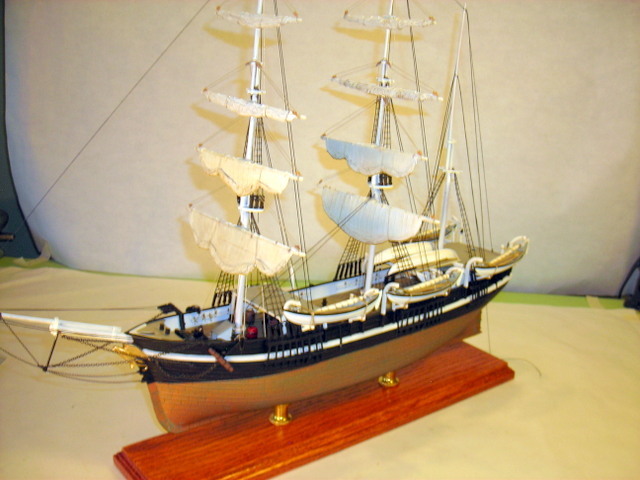 I had a lot of fun doing the whaleboats for this Wanderer Whaler ship. 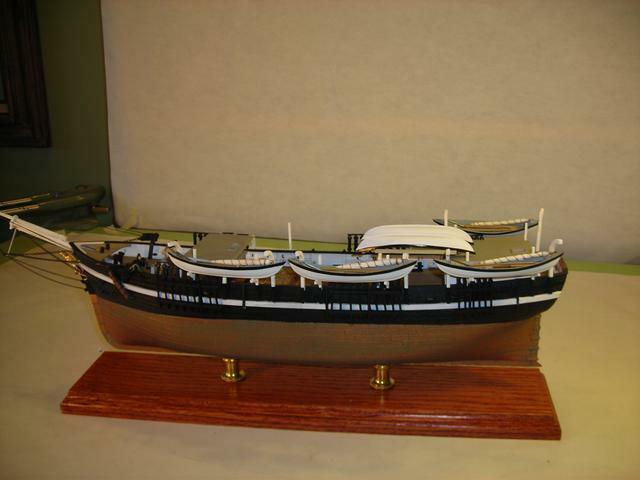 Now I have the whaleship well under way & am putting the masts up & wondering what to do with the combo spar & sail.I will figure that out when I get the masts up & rig the shrouds on my Airfix rigging tool. They give you precast shrouds, but they are way too thick. The kit itself is really a nice one to build. Nino (Jim) has been babysitting me & trying to get the pictures done right. He is a computer genius. I think now they will come thru OK, but if they don't please let me know. I will only send a few until I know they come thru OK. I put the whaleboats on for the pictures. 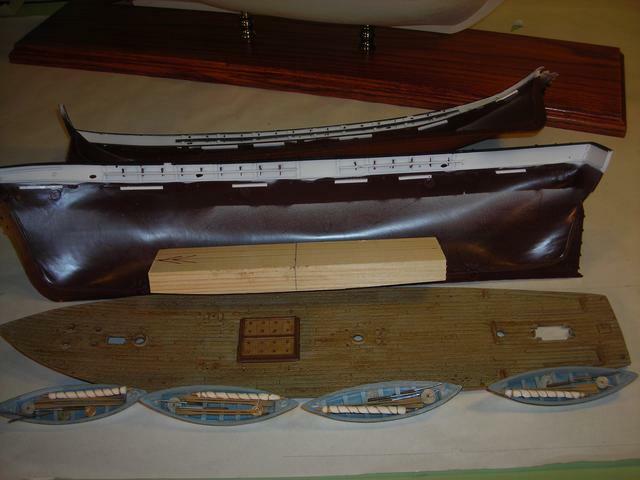 the shrouds have to be on before I tie the whalboats on. My son made me another 3 oak bases & I stain & lacquer them. 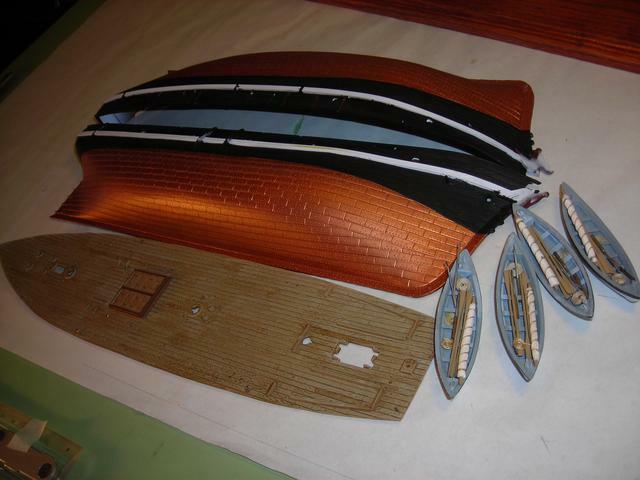 I will get the name of where I get the pedestals.I used Tamiya copper on the hull with an emerald green & spirits wash & then a light wipe down & a spray of M&M Dullcoat. I used all Tamiya acrylic paint. I hope this worked as Nino spent half a day teaching me about my computer. He is a super patient teacher. Now I know a little more than my wife. Someone please let me know. I went ahead & put a bunch on. 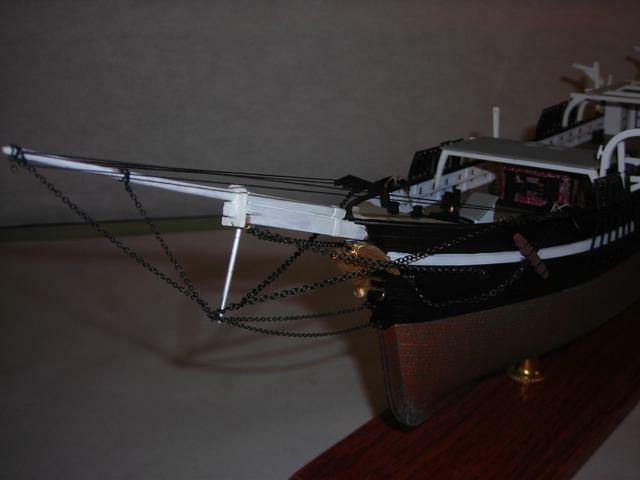 This is a fun build & I did figure out how to make the whaleboats look more right for this boat. I ran a seperate post on doing that. I will have more pictures later as I go along. Don't get anything but a black screen. But maybe that's my problem. Fox, Thanks for the answer. I sent them to my wifes computer & a PM to nino & they both got them. I didn't get your pic either, but I did get a bunch of pretty girls & if you are building them, I'd say you were a great builder. They are going to FSM Private Messages. Maybe you have to be a member to get pictures, I know a lot of sites do that. But I see you are both members. I just get a blank box. When I click on it, it sends me to a Google sign in page. Flint, Thanks, boy this does get tiresome because I sent them to other sites before I listed & they went thru fine. I will post a couple more. I took these off & posted more above & below. Changed to Postimage. Now I hope they worked. Nobody will look at my sites if I can't get pictures. They go everywhere else but here. Nino tpld me what was wrong, but I am not great on computers. He says it is not me. 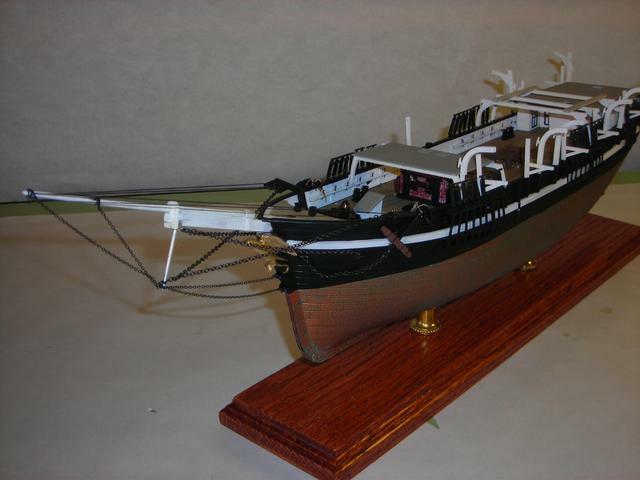 Darn, this is a neat little ship kit. Excellent build, Gene. Will continued to follow your thread to the last completion. Crackers, Is that your build of the Wanderer, it is beautiful, but all your builds are beautiful. Do you mean it actually came thru? nino said it was a problem with FSM & not me. I am a computer idiot, at 87. Took me a long time to get this dumb. These two haven't shown up either Gene. Strange. Just print them out and send them to us individually. Gene, no that is not my build of the WANDERER. Copied it off the net. Any private pictures off my camera is posted on flickr, then off loated to the FSM Forum. I would love to see the pictures but no luck. Hopefully you'll be able to figure this out because I would love to see what you are doing! Steve & Steve, I have sent these same pictures to other personal computers & they came up fine. nino say that FSM is not set up to take google pictures & some come up & some don't. Some people on here got them. I will try another batch to see if they work. 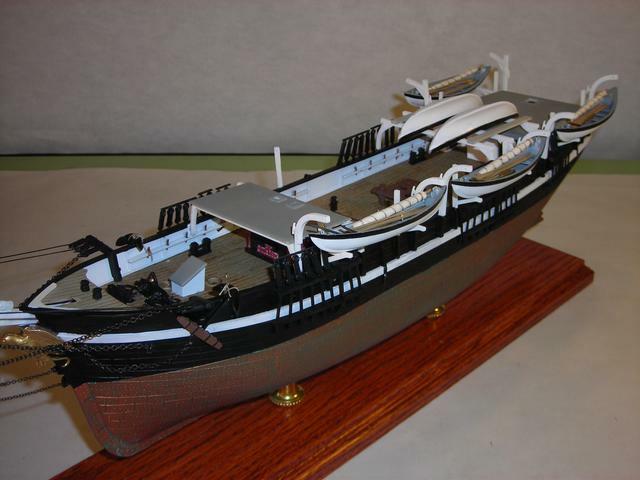 This is a neat model & good or bad I would like to get the pics on so you all can see them & maybe find & build one. Really, if you have a laptop or desktop, try Flickr. Once you get the hang of it it's second nature. Mike ,I have to do something because these Google pictures come in fine on private computers & they are on my computer too, so I don.t know if they are not on herenino has worked with me & wants me to leave Google. It has been fine for years & I am a dunce on computers, but I will change but will have to get nino to lead me. He is a super nice person. Yeah, Kalmbach (and only Kalmbach) seems to have some sort of problem with Google Photos, een set to Public, in Shared folders. Weirdly, if you 'publish' a google photo to your G+ account, you can link that image. Mostly. Professional driver on closed course. Gene, I am on a limited income too. But try Fotki. I pay $ 24 a year, and when the Commodore looks ove my shoulder she doesn't see Asian Babe wants Man, or all the other stuff "free" sites offer. Goo*le wants your soul and they will get it. I will ask Jim to help me get on that site GM, or a different one. I will be glad to pay $24. Nino just taught me how to change my pctures to Postimage & this is the first one. I will try a few more & let me know if they come thru ok. This should work. 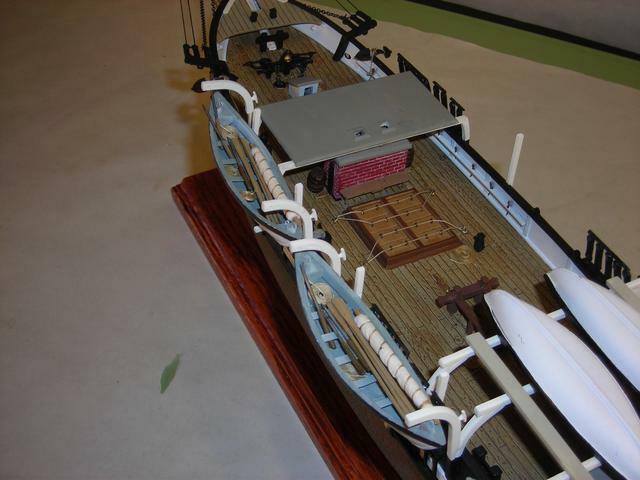 I am working on the masts,done, & spars & sails, to cut them down & do furled sails. You better have a Foredom drill to cut & drill these things. I will gointo more on that tomorrow. Pictures are coming through just fine! Lovely work as usual. Looking forward to the rest of your WIP on this thread. BTW, Postimage works very similarly to Flickr so, should you for any reason need to find yet another free site, I'd bet you'd have it down in no time. very nice gene , can't wait for the rest of the build . Pictures Look great, Gene. Keep it up. Gene, as regards you previous statement: "I hope this worked as Nino spent half a day teaching me about my computer... Now I know a little more than my wife." I think you are only close to Even with Mary on Knowing stuff, so not quite ahead yet. Remember, she has an Ipad that I bet you can't use, but she knows how to use your computer. Looks great, Gene. Welcome to postimage. I love it, better than Photobucket ever was. Fox, You have the same problem I have been having with pictures. I used Picasa & then Google for years & then trouble started. Nino switched me to Postimage & it is very good. Look into it, it is worth changing. Photoshop has always been a bad one to me. I hate all the pictures they add to your picture. 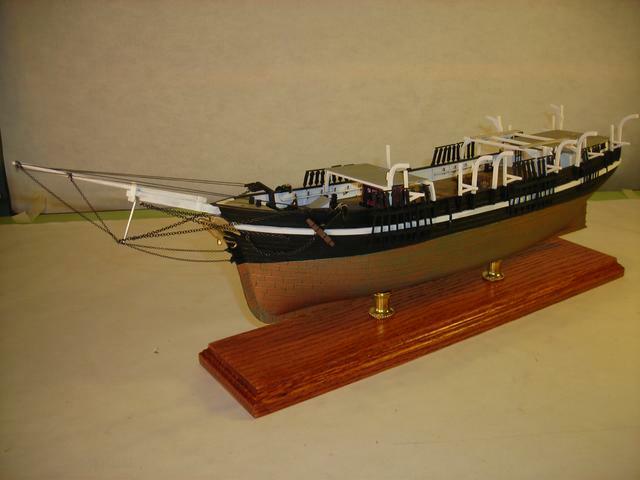 I am adding new pictures of my Whaler with the masts up & the whaleboats on. I have a lot more to do. have more tomorrow & explain my sails. 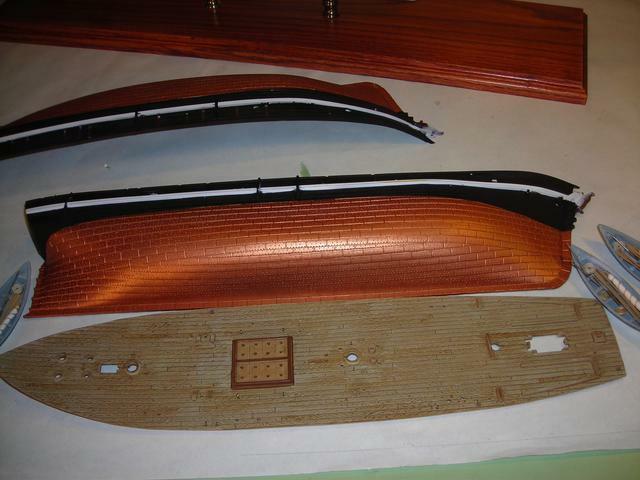 I cut the kit sail/spars down & reshaped the sai & added kleenex furled sail parts to the sail & full furls to the 2 top spars. I used the Airfix rigging tool to make my shroud/ratlines. The kit shrouds were terrible. 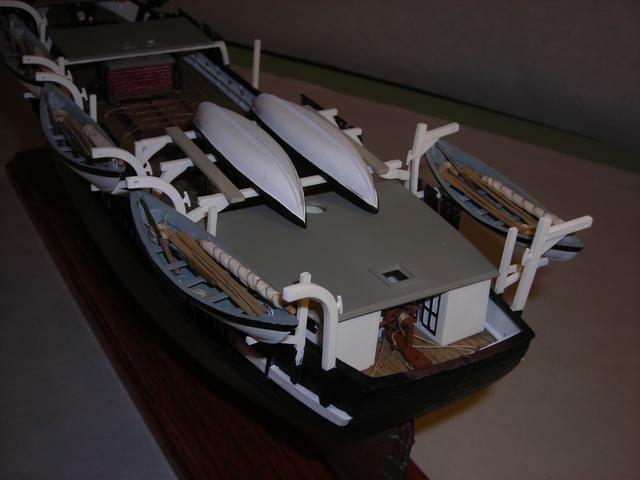 I will add all the kit sails that don't have spars. I had to go back with Jim's (nino ) guidance & repost all my pictures. He took me to raise, I hope he feeds me & my wife & cat real good. Thank you Jim, I am only 87 & when I grow up I will know how to run a computer.